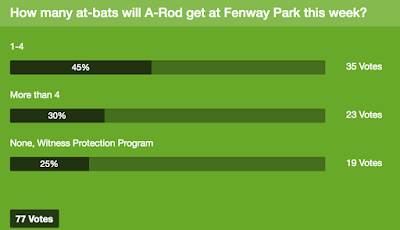 Early results to our latest FenwayNation Poll suggest that most readers think Alex Rodriguez will get only four or fewer at-bats in the upcoming three-game series at Fenway Park. 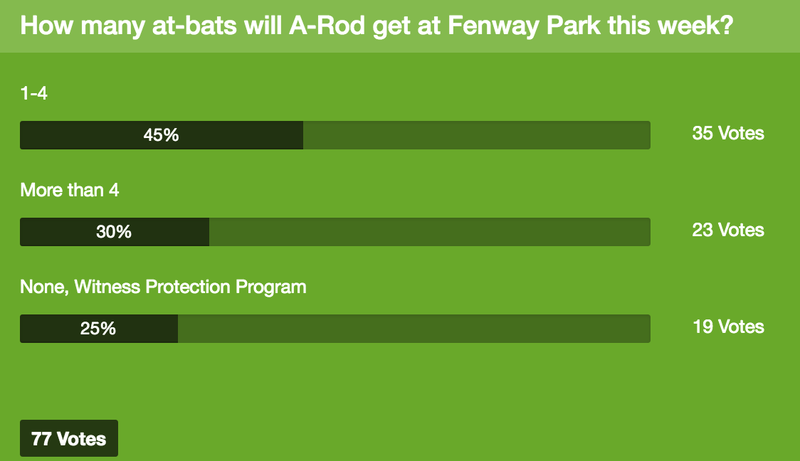 As the chart shows, 45% take this view, while three in ten voters (30%) believe A-Fraud will get more than four at-bats against Red Sox pitching. One-quarter of respondents (25%) think The Centaur won't even get to the plate—and essentially be in The Yankee Witness Protection program. You can still vote in the poll HERE.